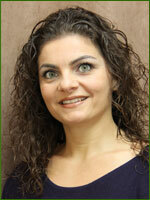 Dr. Joelle Saad is the owner of Emeryville Chiropractic and the holistic Wellness Centre. She is a Chiropractor and a Registered Acupuncturist. She holds a Bachelor of Science from the University of Windsor, specializing in Biochemistry. Dr. Saad graduated from the Canadian Memorial Chiropractic College in Toronto in 2001, and received her Acupuncture Certificate from the Academy of Clinical Acupuncture the same year. Her practice focuses on wellness care of the whole patient, treating various conditions for people of all ages. She deals with WSIB and motor vehicle accident injuries and is a preferred provider of custom-made orthotics. 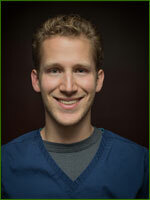 Dr. Saad focuses on each patient’s individual needs. Educating her patients is a key component of her treatment, and helping them achieve a pain-free, balanced life is her ultimate goal. Cheryl Pike graduated in 2011 from CCHST in Windsor. 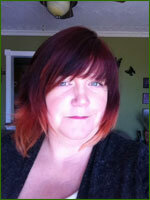 Cheryl is trained in Swedish, Deep Tissue, Therapeutic and Relaxation massage. Through her work in a rehabilitation clinic, she has experience in Motor Vehicle Accidents, WSIB cases and general therapeutic treatments. She is able to tailor each treatment to her client’s individual needs, with client- care being a top priority. Cheryl is also trained for Therapeutic Ultrasound which she incorporates into a general treatment when needed. She is also certified in Indian Head Massage, which offers great relief for those that suffer from chronic headaches or migraines. She has also begun offering Hot Stone Massage for the ultimate relaxation treatment. Jordan Fox is a Registered Massage Therapist who graduated from the DÁrcy Lane Institute of Massage Therapy in London, Ontario. He is passionate about his work and is devoted to helping make the lives of his clients better. His training includes Deep Tissue, Myofascial release, Soft Tissue release, relaxation, swelling techniques and more. Jordan is a lifelong learner. He is always reading, studying, and putting into practice the things he feels will most benefit his clients. Educating his clients on how they can improve their health is one of his key focuses. Through his continuing education, Jordan is always evolving and adapting to learn the best techniques and practices to give his clients the best treatments and education possible. Jordan is committed to helping each client attain their wellness goals. Natasha Gagnon graduated from CDI College in Hamilton, Ontario in 2008. She specializes in deep tissue massage therapy. 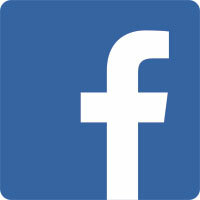 Natasha is also certified to provide Reflexology and Reiki treatments. She enjoys working in a clinical setting and watching her clients progress and improve with her treatment. She prides herself on providing excellent patient-centered care and meeting her clients’ massage needs in a professional and ethical manner.